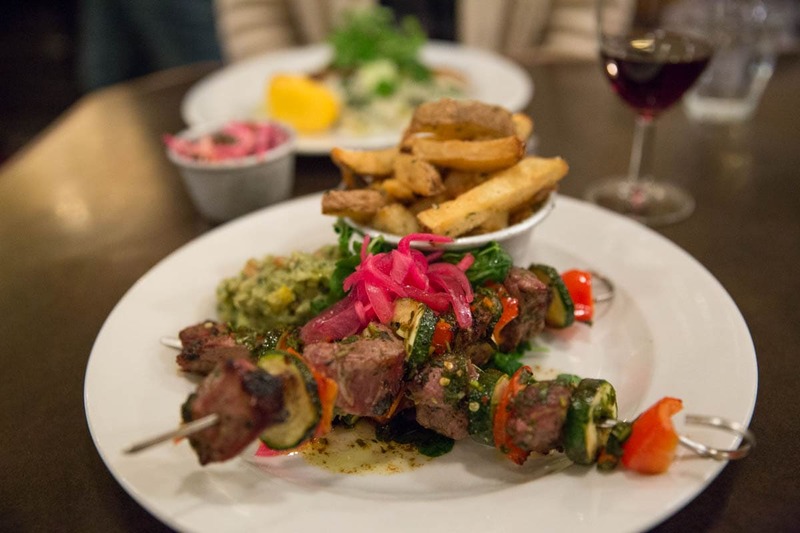 From cute cafes and romantic wine bars, to delicious dim sum and tasty Middle Eastern cuisine, it’s time to reveal some of the best restaurants, bars and cafes in Shepherd’s Bush. Shepherd’s Bush, Chez Boo, W12 – Whatever you call it, this is a buzzy London area with plenty to shout about. Just 11 minutes from Oxford Circus on the Central Line, thousands flock here each day to visit Westfield, recently crowned Europe’s largest shopping centre. With over 450 shops and restaurants (and growing all the time…) it’s easy to spend a day getting totally lost in the vast complex. But step foot outside and you’ll soon discover more about this amazing area’s heart and soul. 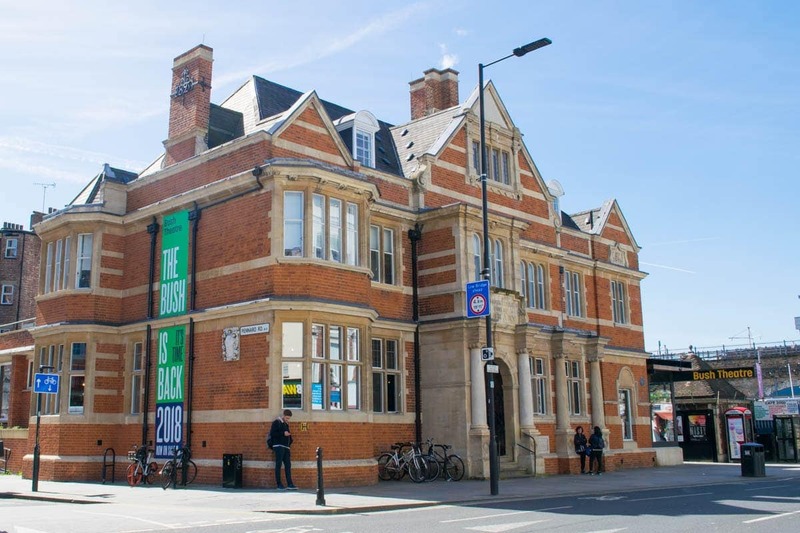 With its famous green and bustling market, plenty of shops and restaurants, and some long-standing creative spots too (Bush Hall, O2 Academy and Bush Theatre I’m talking about you!) 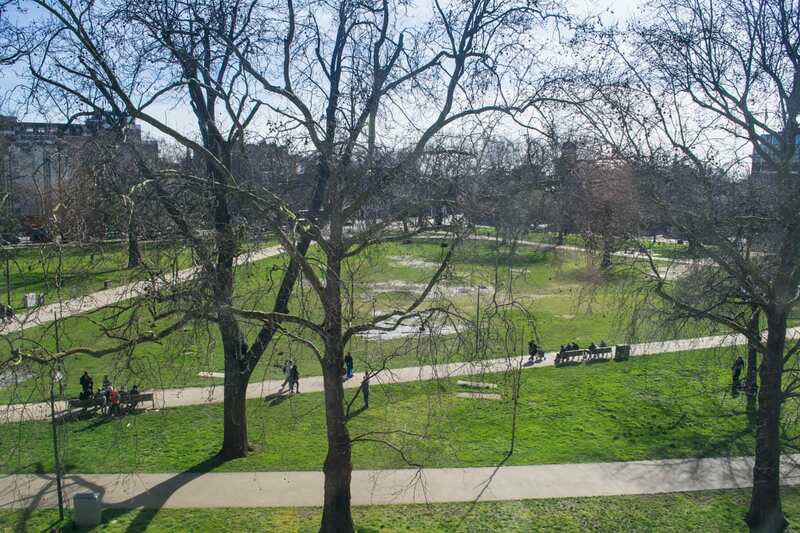 there’s so much to experience in Shepherd’s Bush! It’s also my new home! As you’ll know if you’ve been following my personal blogs, we’ve finally found a flat we love, and signed our names on the dotted line for the next 18-months. It’s an area we’d enjoyed visiting before, but now we’re here to stay we’ve been excited to REALLY get to know it. As usual, that starts with our stomachs! 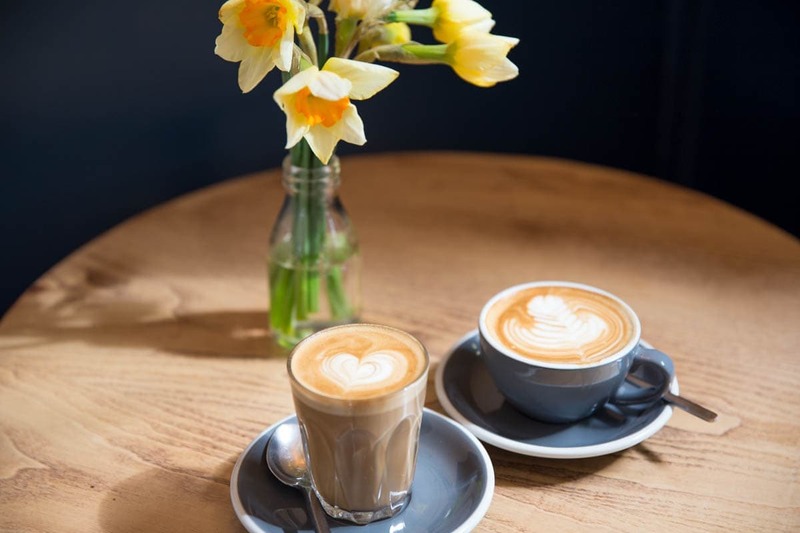 We’ve been busy eating and drinking our way around the area, to find the best spots for a coffee, a quiet drink, a hangover feast and more. 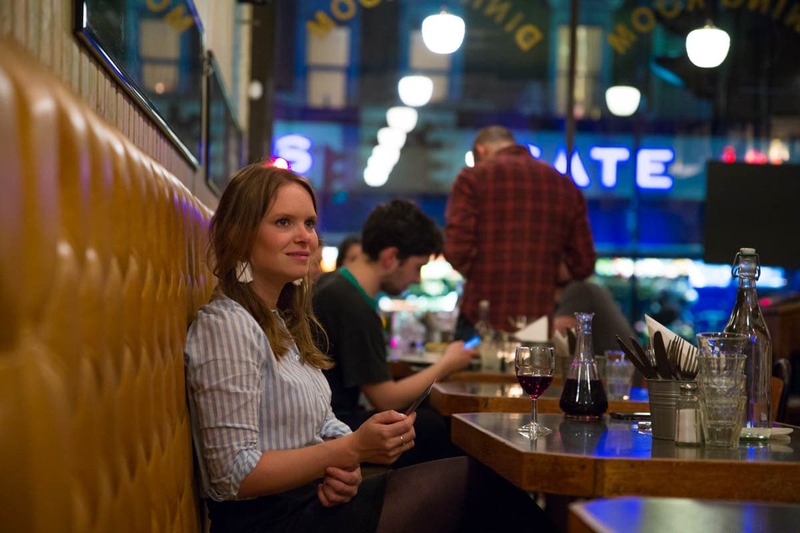 It’s time to reveal some of my favourite restaurants, bars and cafes so far, and no doubt this is a blog I’ll be adding to regularly over the next year! 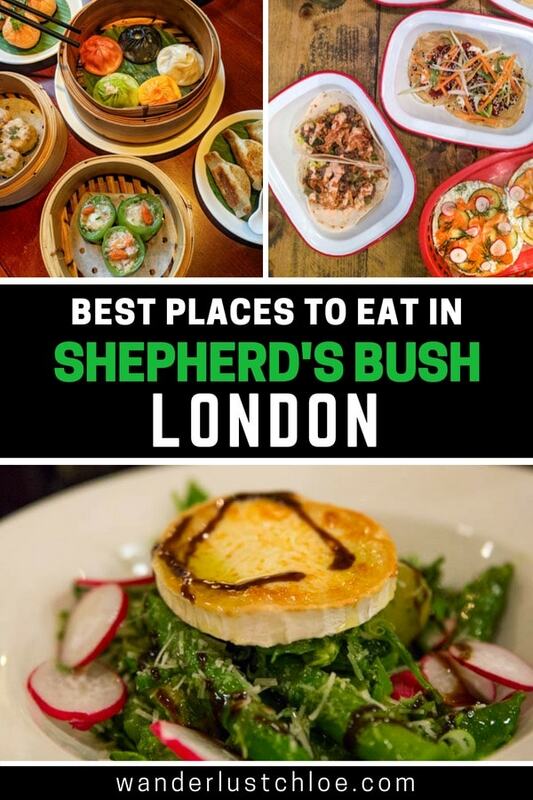 To make things a little simpler (and as there were SOOO many places to choose from) this guide covers places within 5 minutes walk of Shepherd’s Bush Green. A relatively new addition to the area, this is a café which really knows about coffee. Yep, their coffee is strong, well presented and the perfect pick-me-up. 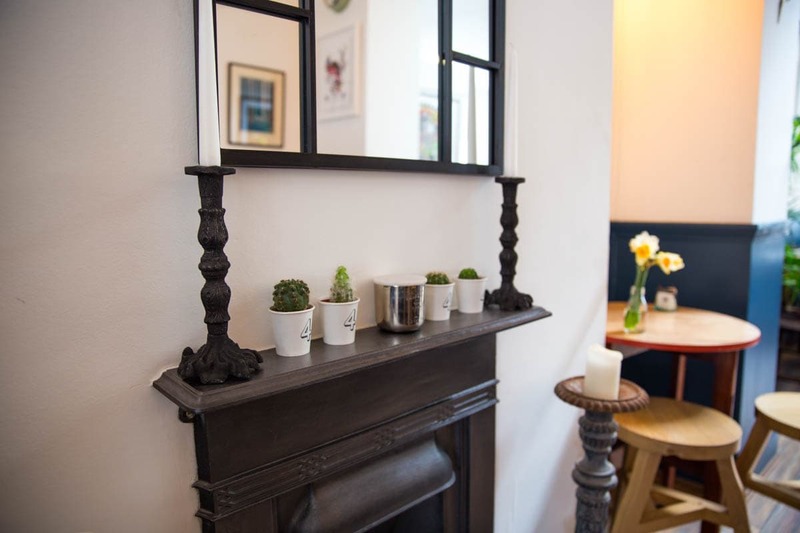 I felt serious #decorgoals as I walked into Swallow Coffee Shop, with its split-level design, smart fireplace and fresh spring daffodils on the tables. Whether you’re looking for a place to catch up with friends, have a meeting or want to bed in with your laptop for an hour, this is one of my favourite spots in the area. Plus, they have a range of tasty treats including some seriously appetising Portuguese nata tarts. This is a spot where everyone can find something on the menu to enjoy! 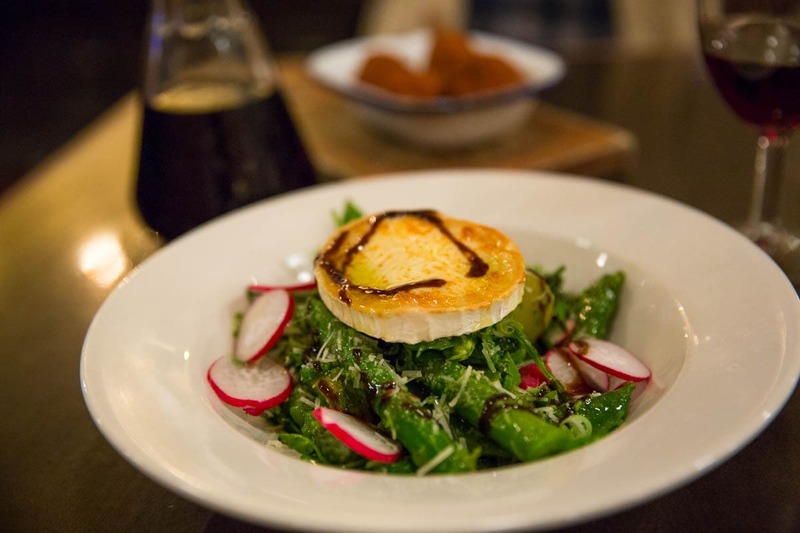 It serves up a varied menu of small and large plates, including Guinness battered halloumi bites, prawn jambalaya, superfood salads and fully-loaded burgers. The restaurant is long and thin, with a chequerboard floor, vintage posters, mirrors and a bar by the entrance. 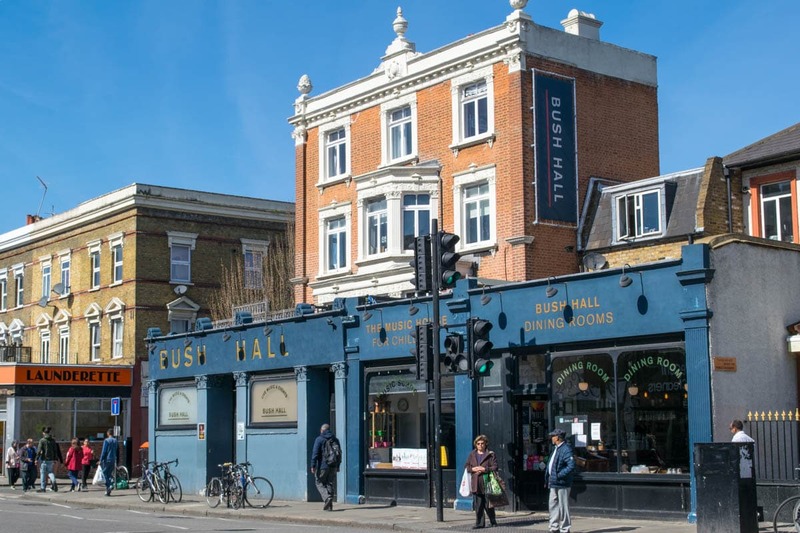 It’s undeniably retro and a great place to kick off your evening before checking out some of the creative performers you’ll find gigging at Bush Hall next door. Top tip – show your ticket and you’ll get 10% off the food bill. 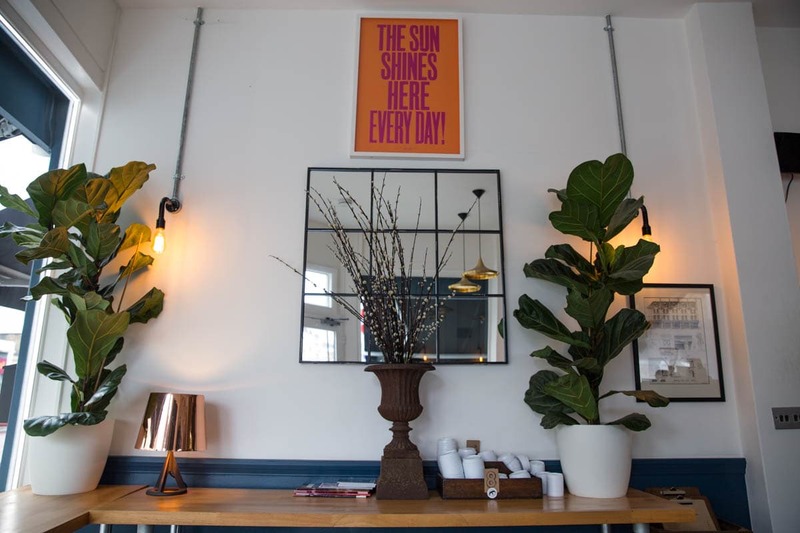 There’s an upbeat atmosphere, and it’s somewhere that works for every scenario, whether you fancy a quick coffee or a drink, or a big breakfast, lunch or dinner. We enjoyed a few small plates to start including the halloumi bites which were light and crisp in a tempura style batter, and a fresh and crunchy spring salad, which came topped with an oozy piece of goats cheese. 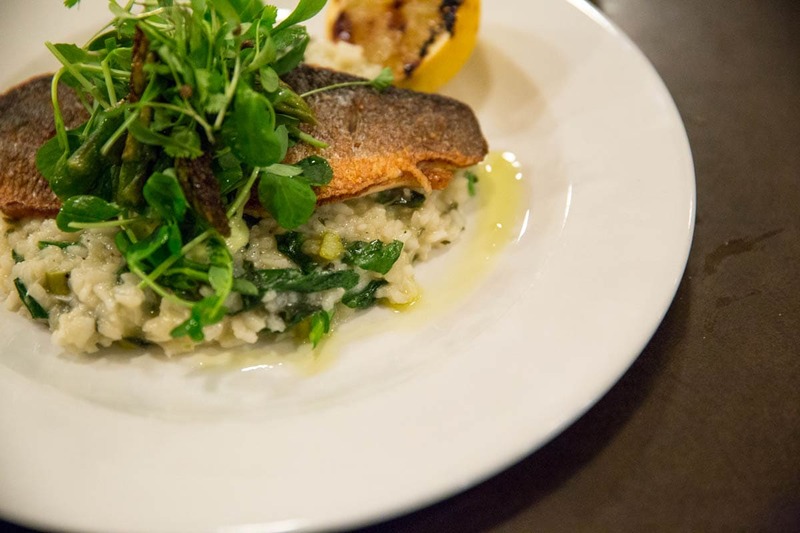 For mains we tucked into sea bass with asparagus risotto, and some flavour-packed lamb skewers which were accompanied by pickled onions and guacamole. Food was well presented and tasty, and considering the size of the portions, I thought it was excellent value too. This is a true hidden gem! Albertine is a candle-lit wine bar with a gorgeously intimate atmosphere. With rustic wooden furniture, twinkly lights, a small bar area and a wall of wine bottles, it’s the perfect place for a quiet catch up with friends or date night. The wine list is extensive to say the least! 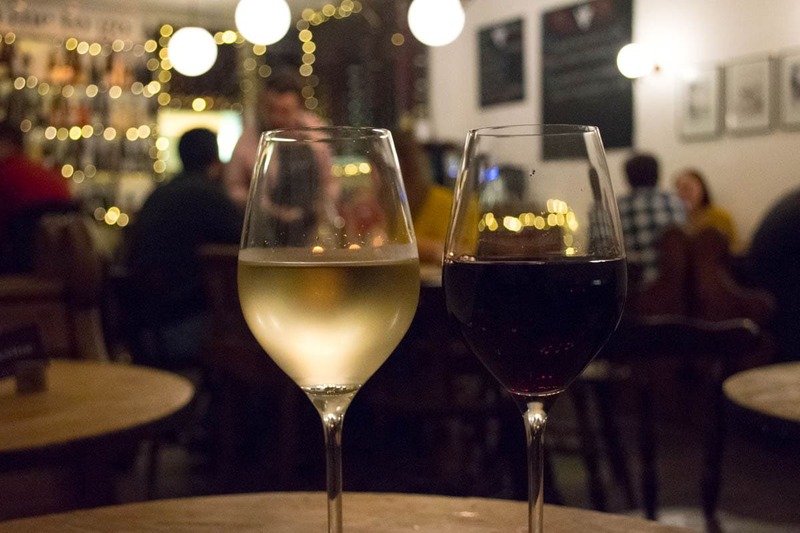 With over 100 wines on offer, including around 40 by the glass, visiting Albertine is a great opportunity to try something different. There’s a restaurant area upstairs, but they also serve light bites downstairs. The charcuterie platters looked amazing; a great accompaniment to a glass of red. There were also some gourmet-sounding items including soy, Szechaun chilli and peanut sausage rolls, rabbit croquettes and halloumi chips with sumac. Friends who knew about my love of Asian cuisine recommended I visit Shikumen as soon I moved to the area. 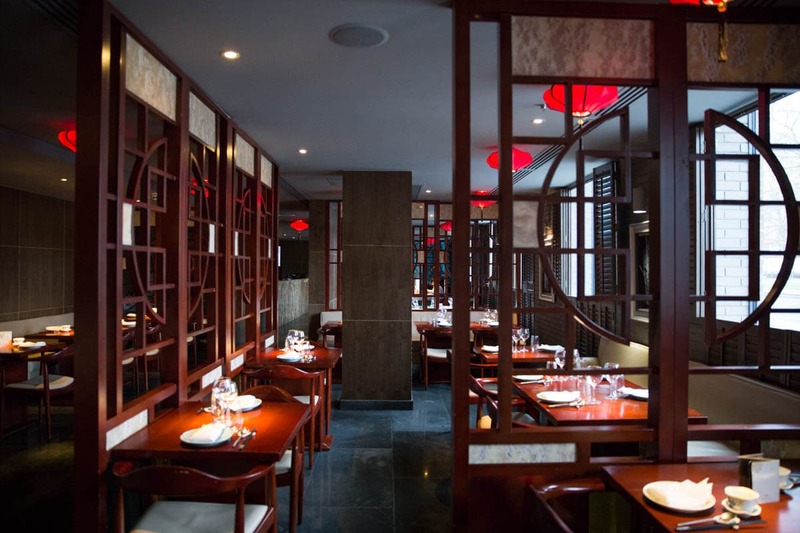 Located within the smart Dorsett Hotel, Shikumen serves up high-end Chinese cuisine. Along with plenty of classics, on the evening menu you’ll find dishes including roasted Chilean sea bass, stir fried lobster and smoked angus beef. 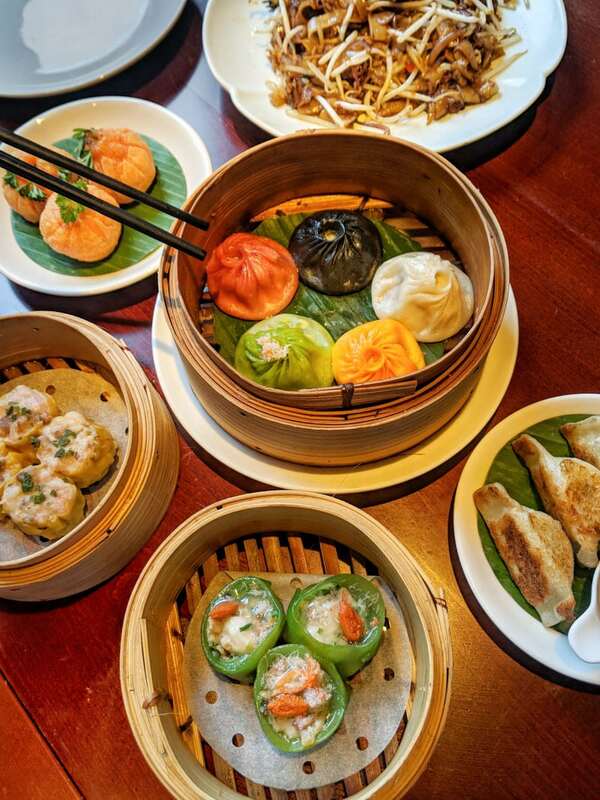 We, however, were there for one thing – dim sum! 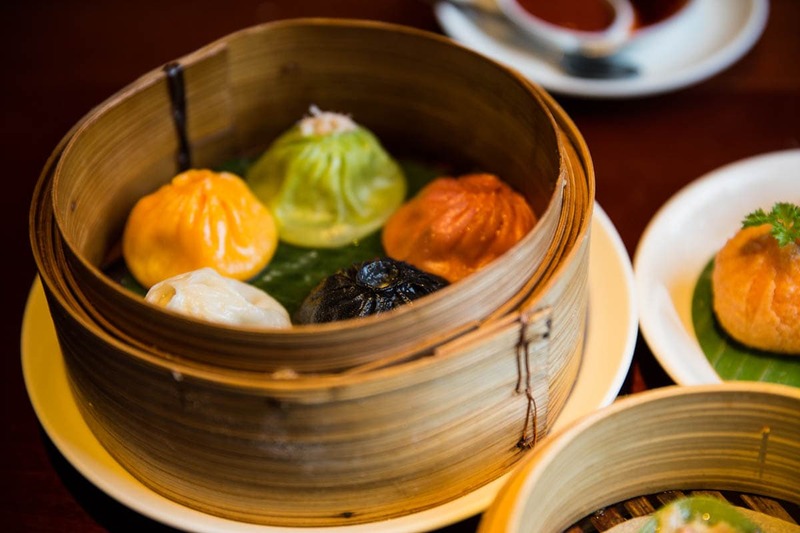 Only served at lunchtime, Shikumen is famed for its xiao long bao – a type of dumpling filled with flavoursome soup. 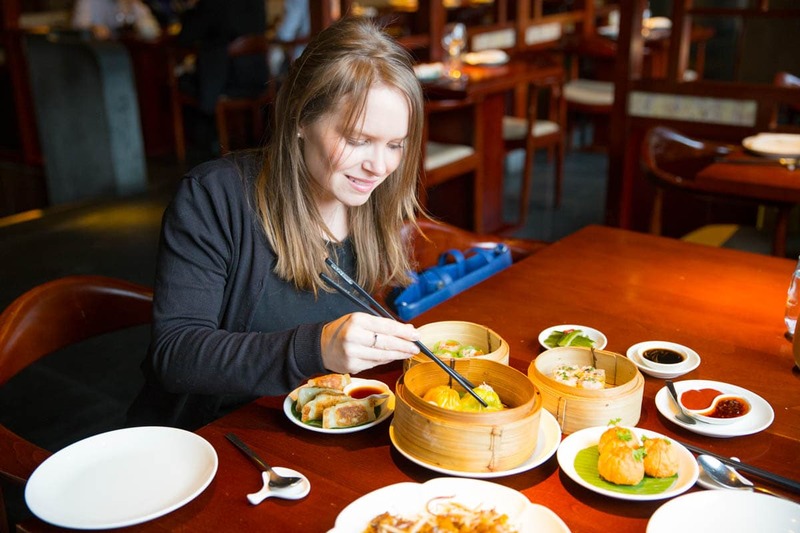 We ordered a selection of dishes to try, including pork and prawn shui mai, duck and pumpkin puffs and some beef ho fun noodles. While it was all tasty, the winning dish for us was the xiao long bao. I’d recommend ordering the colourful five star selection, so you can try their different flavours, which include spicy pork, truffle and seafood. I love this place! 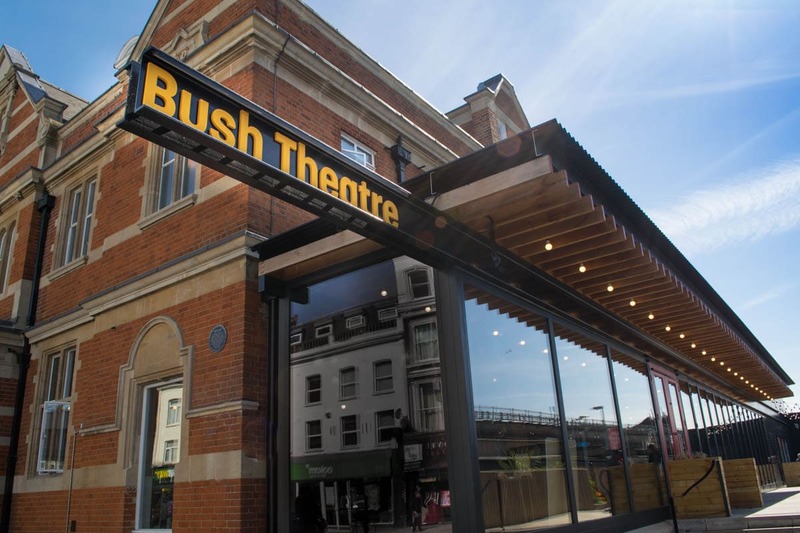 Part of the creative space that is Bush Theatre (which champions new theatrical works and nurtures playwriting talent) it’s the best spot in the bush to get lost in a book for an hour! Order a cuppa and head to the Reading Room, which is covered in bookshelves and comfy chairs. Later in the day, it’s a great venue for a cocktail or a glass of wine. The menu even plays homage to Shepherd’s Bush, with the W12 and Bush Mojito cocktails! As the days get warmer, there’s also a terrace area at the side, perfect for an al fresco beverage. There are a lot of restaurants in this part of London serving authentic Middle Eastern cuisine. 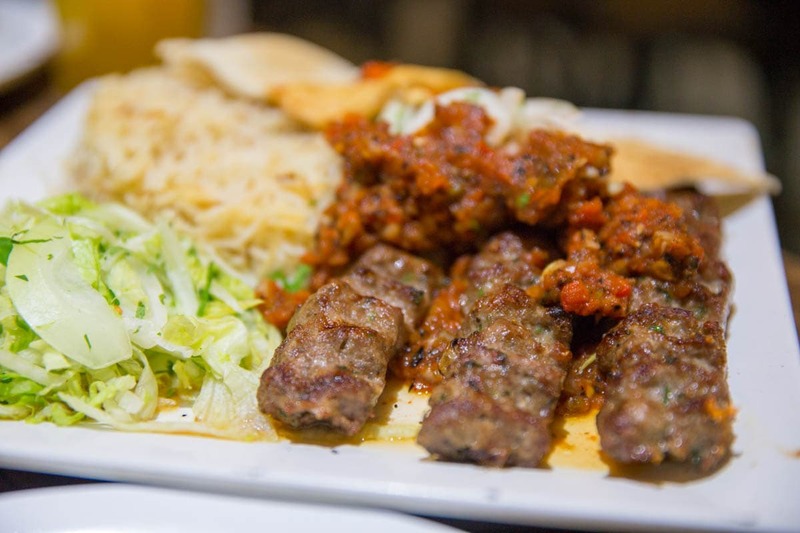 From mezze plates that fill the table, to tasty koftas and kebabs, it’s hard to know where to go. Abu Zaad has an excellent reputation, is always busy, and serves up tasty, traditional food in casual surroundings. 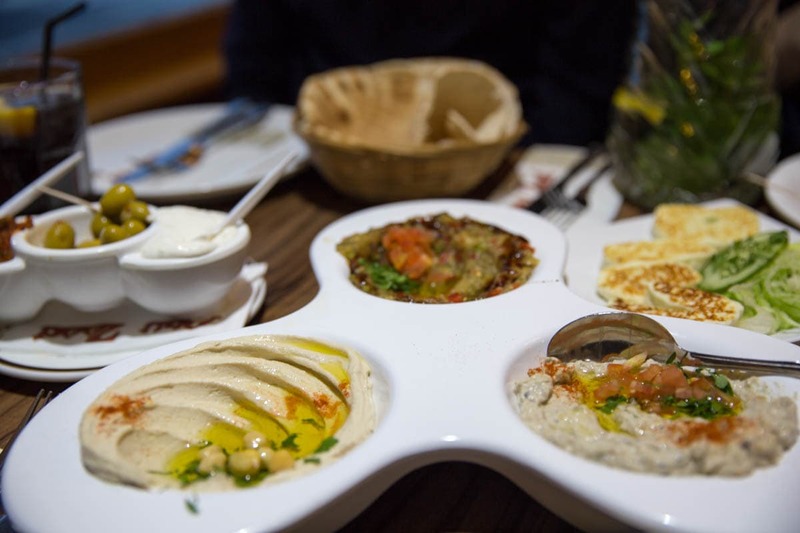 We started with hot and cold mezze items including a baba ganoush that was rich in smoky aubergine flavours, charred halloumi and falafel. The lamb kofta main with a spicy tomato sauce was delicious too. They don’t serve alcohol, but they have some lovely soft drinks and juices – try the lemon and mint (so zingy!) Prices are incredibly reasonable too, with a large meal for 4 people coming to under £15 per head. After quizzing locals, and trying out a few myself, I think this is the best all-rounder pub on our doorstep. 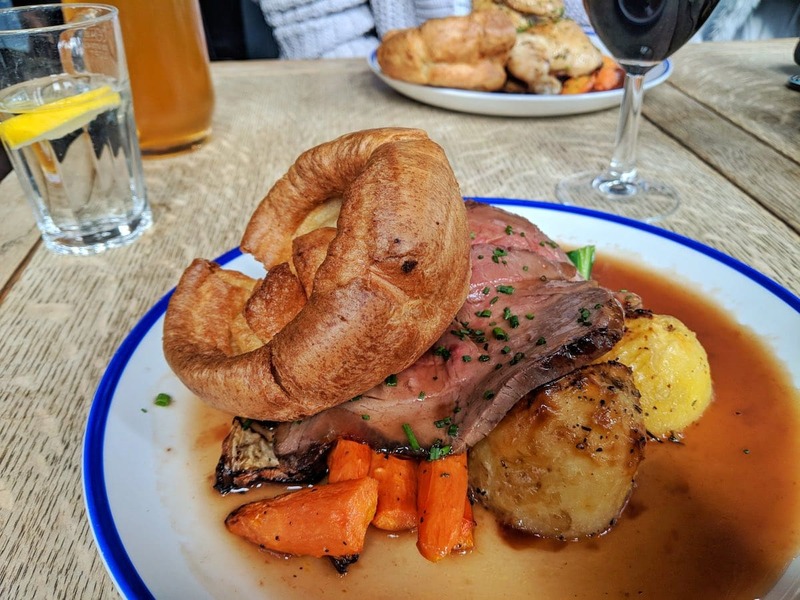 It’s a gastropub serving all the classics, with a few upmarket twists – think rosemary chips with your burger, and wild boar sausages instead of standard pork. Whether you’re stopping for a mid-week lunch, an after work drink, or fancy a big Friday night, it always fits the bill. They have plenty of craft beers on the menu, and shake up a few cocktails too. 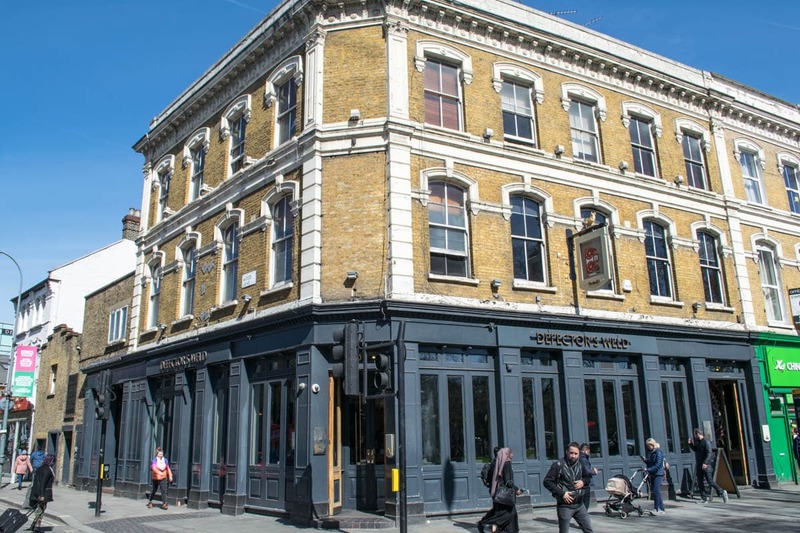 It’s worth keeping an eye on their ‘What’s On’ listings, which often features live DJ nights, pub quizzes, comedy and even gin tastings. 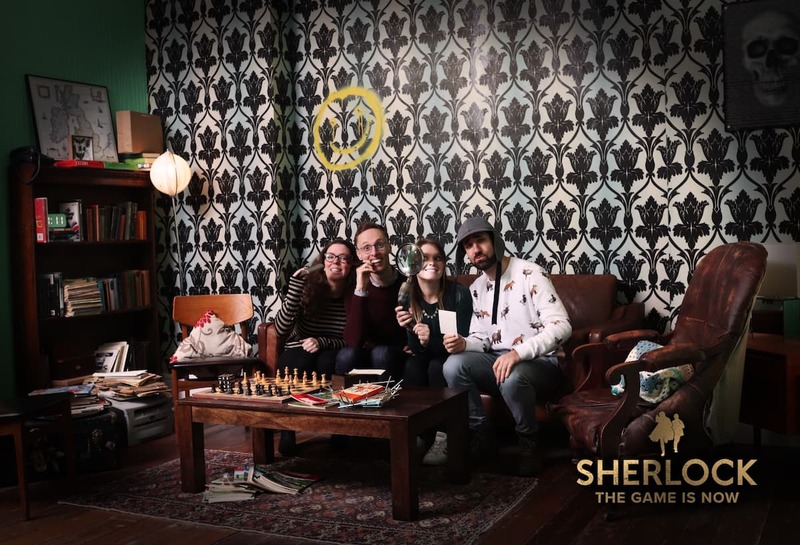 Sherlock The Game Is Now – This is no ordinary escape game! This is the official Sherlock live experience! Brand new to Shepherd’s Bush, this interactive experience involves playing detective as you solve a case using mental challenges and puzzles. You don’t need to be a fan of Sherlock to enjoy it (I’ve never seen it!) but no doubt you’ll find it even more engaging if you are. Along with seriously impressive sets, there are a few video cameos from the stars of the show. We escaped in 55 minutes, and ended the night with a celebratory cocktail in the Mind Palace Bar – built especially for the game. 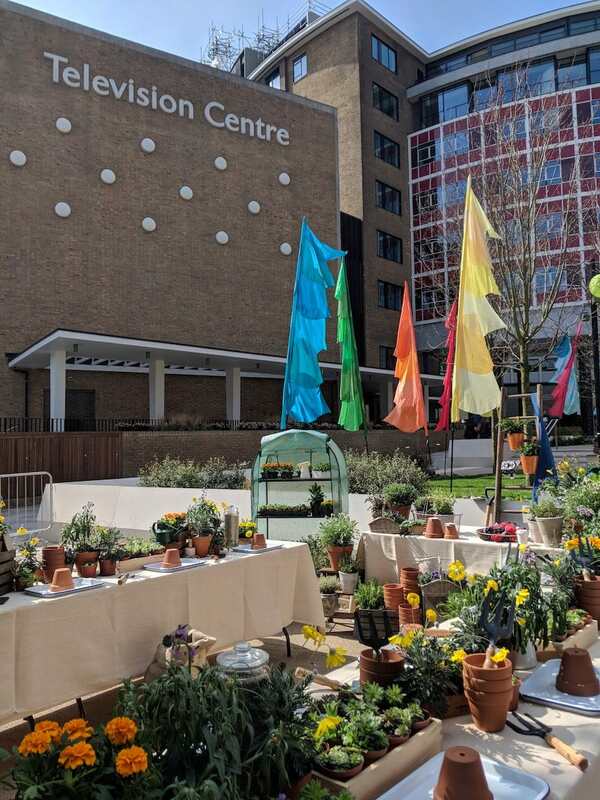 This is definitely one of the most fun things to do in Shepherd’s Bush in 2019. 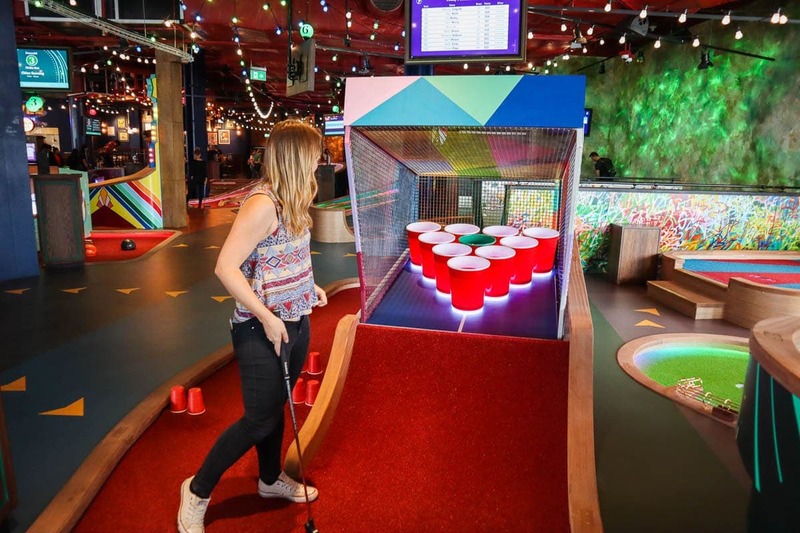 Puttshack – Puttshack takes mini golf to the next level! Located in the newest section of Westfield, it utilises the latest technology to create a really fun game, suitable for all the family. I loved the design of the 9-hole courses, which featured a prize wheel, skate ramp, giant beer pong and even a drum kit. The clever technology means you don’t have to worry about keeping scores as you go, and there are chances to score bonuses and prizes (including free games) on the course. There’s also a bar and restaurant area, so you can spend a whole afternoon or evening there. As there are several courses, I can’t imagine you’d ever wait very long, but you can book in advance if you want to secure a certain timeslot. First Light – Spinning is one of THE most popular ways to get fit these days, and First Light in Westfield have created something super special. With three high-tech cycle studios, kitted out with light displays, an enormous panoramic screen and a pumping sound system, it’s one of the most fun and memorable exercise experiences I’ve ever had! It’s also a serious workout, so expect to sweat! 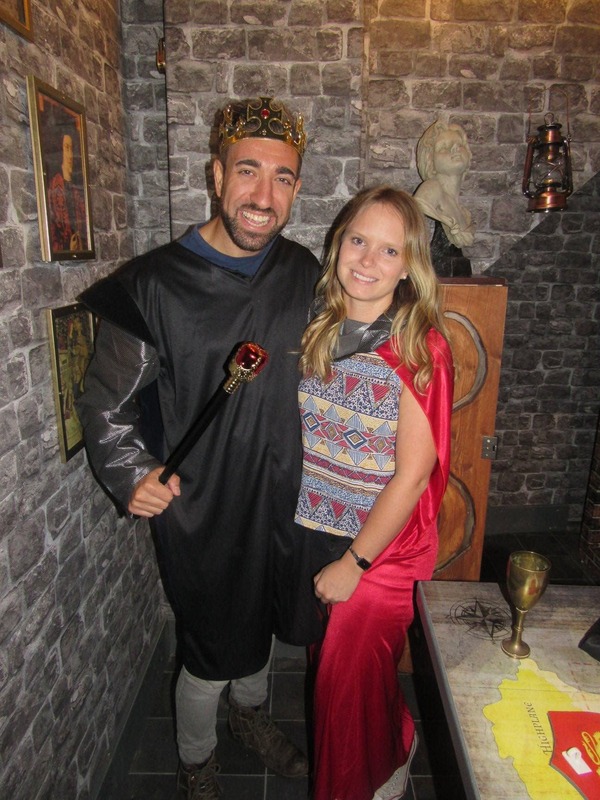 Escape London – We escaped! This is one of London’s top escape game venues. Located along the Uxbridge Road in Shepherd’s Bush, Escape London is home to four different escape games. There’s The Cabin, The Da Vinci Room, Area 51 and their newest addition – Overthrone (which we played). If you’ve never played an escape game, they’re SO much fun and involve a mix of puzzles, riddles, observation and lateral thinking. This is definitely one of the most fun things to do in Shepherd’s Bush. 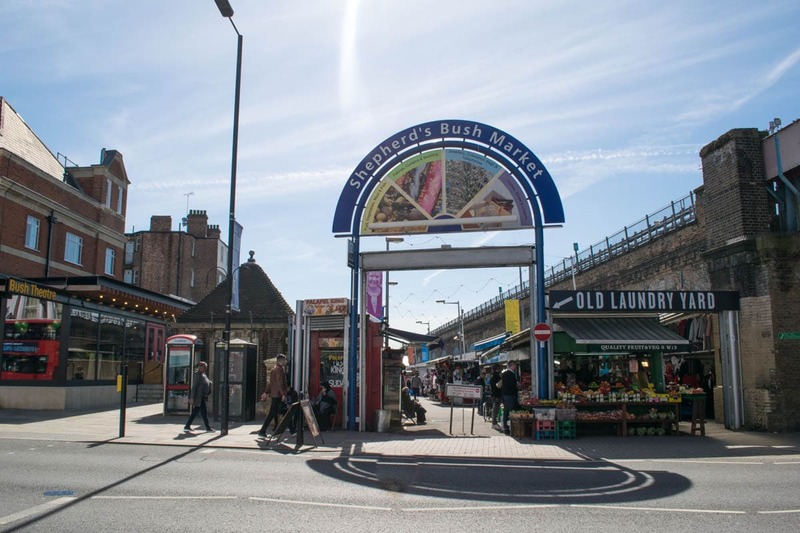 Old Laundry Yard – Breathing new life into Shepherd’s Bush Market, this is W12’s answer to Pop, Street Feast and all the other awesome street food spots in London! Made from 72 shipping containers, it’s located on the site of an old laundry, and offers world cuisines including West African street food, grilled cheese sandwiches, vege dishes and more. It’s not been open long, so I can’t cast my verdict just yet, but I have high hopes! Chai Naasto – Authentic Indian street food close to Hammersmith. Spicy, flavoursome dishes, plus a menu filled with items you’ll never see at a standard Indian restaurant. 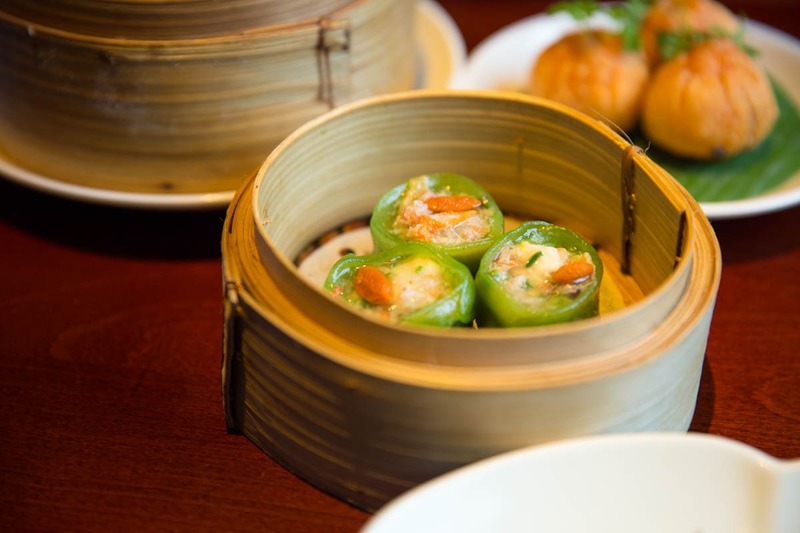 For the best experience, order lots of small dishes to share! 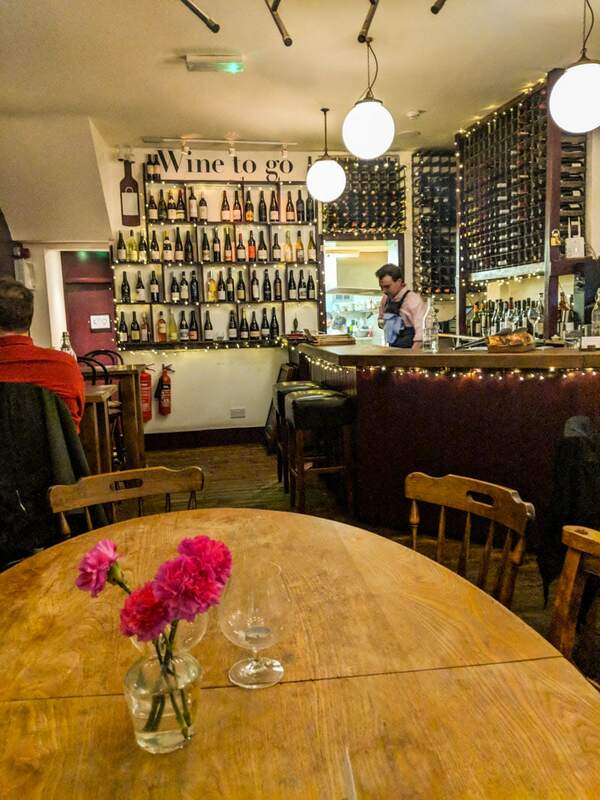 Brackenbury Wine Rooms – Smart restaurant/bar lit by fairy lights and candles, boasting a huge wine list and a reasonable happy hour. Television Centre – It’s incredible how fast this part of London is changing. The BBC’s old digs have been transformed into over 900+ plush apartments, plus there’s a new branch of Soho House, restaurants including The Bluebird Cafe and Kricket, and a cinema. Keep an eye on the calendar as they’re also holding a few festivals in the courtyard area at the front. This post was produced in collaboration with Visit London as part of its #SeeMoreLondon project. Do you have anywhere to add? Let me know where else I should check out in the comments below!